It is sobering to realize that Paul knew he was giving them the last instruction he would get to personally deliver. And yet, as he did with his last epistle to Timothy, he did not fail to give them serious warnings. Here at Ephesus he chose to include the following concerns in his message. Let’s briefly look at these important warnings. 1) It would be after Paul’s departure. Wolves and false elders would not make their move until the Apostle Paul was absent. Why? Because Paul would exercise his rightful responsibility by addressing and disciplining such actions. We must do the same! 2) Wolves would devour the flock. Using the language of a shepherd and his sheep, Paul speaks of the confusion, division and strife which would result from these false believers. Elders must always be on the lookout for these wolves in sheep’s clothing who look to damage the flock. Church history bears out that when Satan realized that he could not stop the church by persecution from without, he began focussing on deception from within. 3) False Elders would arise from among the Presbytery. Even among the presbytery (board of elders), certain individuals would arise and display their selfish motives. Again, Paul is warning the elders to be on the lookout for those elevating themselves as a superior or chief elder. 4) These Elders will speak twisted teachings. Paul reveals, as he explained in his first epistle to Timothy, the need for elders to understand and teach sound doctrine! (1Tim. 4:6,16) False teaching must be handled biblically among the elders. Accountability is a must among the elders. These warnings still echo with force down through the pages of history. 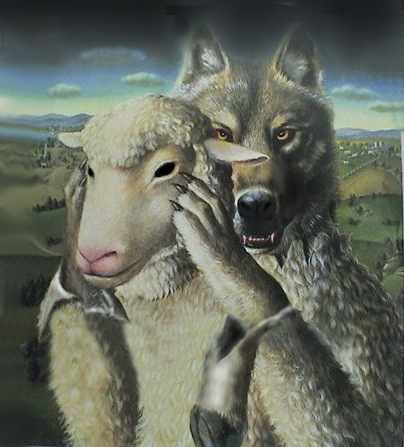 Many churches and individuals have been hurt and led astray by false sheep and false elders. Let us take heed to this sober warning from Paul by guarding against these destructive people, among the sheep and among the leadership!